A fair question! As far as we understand it, the reason TO use crossbar I comes from back in the lousy-printing-on-newsprint days, when a single-stroke I could disappear, or be confused with an exclamation point. So it wasn’t necessary (and would take two more time-consuming strokes) in the middle of words. Sixty to seventy years later, it’s a tradition, and so to most comic readers, it looks weird and awkward to see the crossbar I in the wrong place. In the digital age, it’s considered the obvious mark of a letterer typing in all caps, who either doesn’t know much about comics, or isn’t paying close attention to their work. The use of crossbar I for acronyms or names is a topic of contentious debate in lettering circles. 🙂 We at Comicraft choose not to, but some letterers do, and we think it’s fine, as long as it’s a deliberate choice and is applied consistently throughout the story. 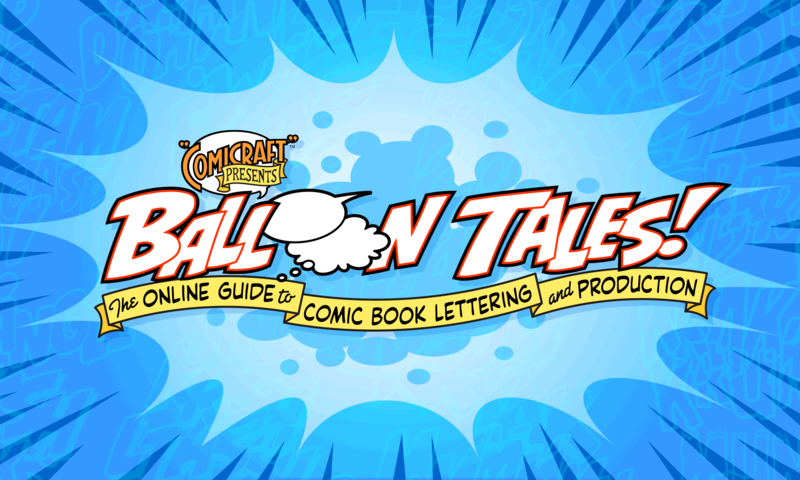 The ultimate goal of lettering is that it become invisible, so the reader can get lost in the story. If a crossbar I (or any decision you make as a letterer) breaks that spell and pulls them out of the story, then it’s bad. But there’s a million ways to letter a comic — just be conscious of your choices, and establish them consistently, so your reader can learn them, forget about them, and let the story come alive. 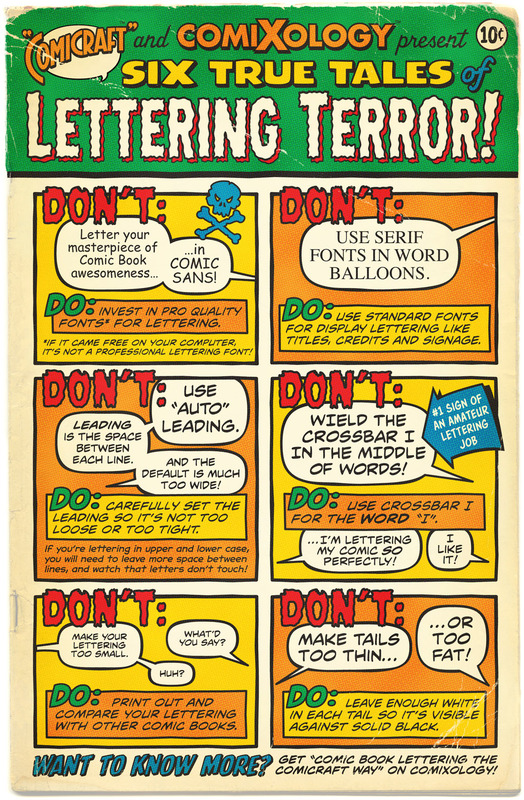 True Tales of Lettering Terror! A page of Do’s and Don’ts created for ComiXology Submit. Reader Micah Wright responded to our Thoughts on Thought Balloons roundtable with a great analysis of the many uses of thought balloons from a single page of 1960s Spider-Man! We thought you’d enjoy it too. How to create thought balloons in Illustrator. How to enable custom ligatures that automatically substitute any two letters in a row, or disable them if you prefer. A guide to creating jagged and flaming sawtooth-style balloons.